Jim Bowers is a full time Colfax Ca. artist and film maker, Jim has been creating BIG art all his life. (Google: "Jim Bowers Art"). He has contributed dozens of public murals all over California and created the "Worlds Largest Timepiece" (1MileClock) in 2011. That project put Jim and his 126 member team into the Guinness Book of World Records! His popular and edgy Youtube channel (Demunseed) has 3.5 Million views with 30,000 fans. There is one more BIG work of art that he wants to accomplish. A FEATURE Film. After producing hundreds of short films and documentaries (featured in: USA Today, Forbes, Business Insider, Wall Street Journal), "CONSCIOUS" will be Jims largest film project to date. "We are now in full production with a series of film trailers to promote this grass roots project. Our film crew and talented cast of local aspiring actors are hard at work on this all volunteer project", says Jim. "The story revolves around a young boy who's love for exploring the Sierra Nevada leads him to discover a "mysterious and potentially alien device" that will change his life FOREVER!" In order to procure the necessary production equipment, insurance, props and food for a hungry crew requires that we raise money to "Git 'Er Dun"! We would very much appreciate your support. ANY amount is greatly appreciated and all donations are entered to win a DJI Phantom4 Pro Drone that Jim is going to autograph and give away in August 2017. Good Luck ~ and THANK YOU for your trust and support! Note: Best wishes to Jim who goes into UCSF Hospital on May 24th for a spinal Laminectomy and Fusion. Please send him a note (in comments) to wish him a speedy recovery so he can get back to work on "CONSCIOUS" in June! Stop by here often for film trailers, "behind the scenes" and project video updates. We hope you'll enjoy this PG-13 "Sci-fi, Humorous, Adventure" film! The good news is, I'm healing well after the nuero surgery. And, Conscious Trailer Part2 will be out in a few weeks. 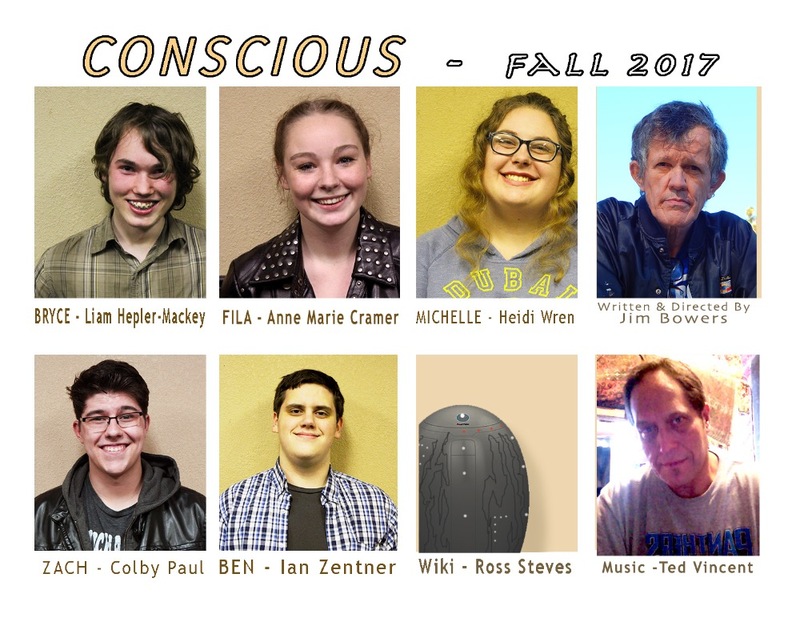 Since my recovery is taking longer than expected (I still can't drive), we're going to finish shooting Conscious in the spring of 2018. Cast and Crew are all onboard PLUS it'll be ALOT greener in April/May. We're doing a Social Media BLITZ!!! Trying to reach the $5000 mark by Sunday. Give us a hand and share our gofundme trailer to ALL YOUR "Family and Friends!" Let me know who your donors are, you'll get credited toward winning the Phantom4 Pro that I'm giving away in August! THANK YOU SoooOooOoo MUCH!!! Your welcome to email me ANYTIME! If your chipping in $5 or more, let me know if your also SUBSCRIBED to "Demunseed" on Youtube. You might win my DJI Phantom4 Pro! Brilliant news Jim. Keep us posted with how things work out. Any idea of timescales? So what's up with the shirts? 2018? Wayne Law XL 130 Colt Ct. Vallejo, CA ...but get better first! Great news Jim. Yes, the spring sounds good, low sun sending shafts of light through the trees in the early morning mist. The cutaways of dew drops on the leaves... Sorry, getting carried away, they always say a pro photograph never retires! Keep on getting well buddy, all the best from the old UK. Mike. Hey Jimmy - I donated fifty bucks and I don't want no stinkin' t-shirt. Give mine to somebody deserving. I donated 2 times $5 each and am also subscribed to Demunseed on YouTube. Chipped in $25 and I'm subscribed to Demunseed on YouTube as Tim Adams! Hey Jim, Yes of course I also subscribe to you on YouTube?! Why would you ask such a silly question. I'll look forward to the P4P :) BTW - I've added myself to SAR; thanks for that info, my VO and I appreciate it. Let me know if you need more money. Seeing as I'm so filthy rich I'd be glad to chip in more. Good luck Jim. Terry Mackey , Medium PO Boc 670 Chicago Park, 95712. THE Film is scheduled to wrap in August with a mid-fall premiere in late fall. For each $5 pledge, you get one entry to win an Autographed Phantom4 Pro Drone, (and a virtual HUG!) Winner announced August 2017. (Shipping not included). For $25 pledge, you'll have your name listed under "Project Supporters" in the movie end credits! + 5 entries to win the Phantom4 Pro Drone! 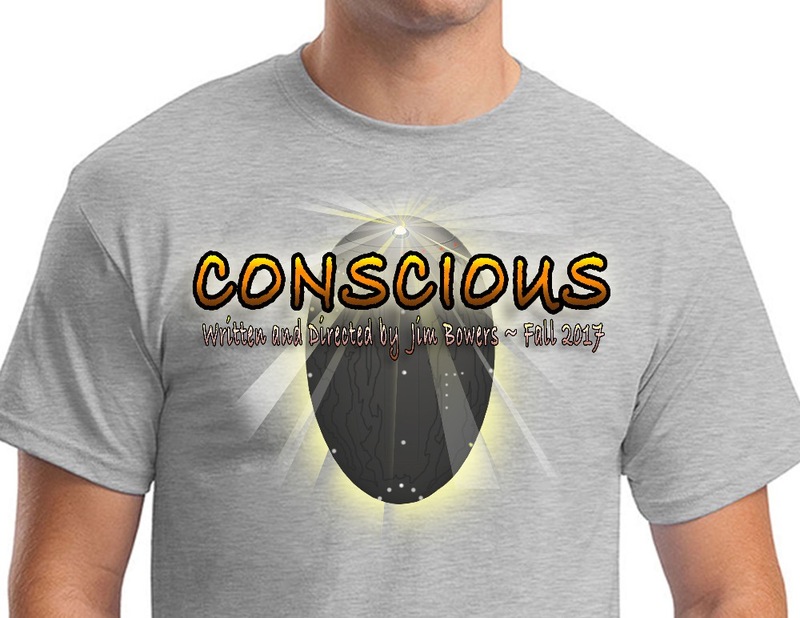 Pledge $50 and receive the official Conscious TShirt (sm-xxl). + your name in the credits and 10 entries to win the Phantom4 Pro Autographed Drone! For $100, you'll get a cast Photo with autographs from each rising star + Director Jim Bowers will call you personally + Tee & 20 entries for DJI Phantom Drone! Pledge $500 and your Company or organization will be listed with trademark/ logo prominent in the film credits OR your business may appear "on camera". OneStudPuppy Share this on Facebook please! Please share the movie trailer! Please share anywhere you can help fund this grass roots biggest bucket list item of Jims!! Thanks for all your Drone input and help! Hope your neck is healing well. This cause is beyond worthy! Share it share it again ask your friends to share it, ask your family to share it, ask your co workers to share it!! If you can't donate then please share ! !